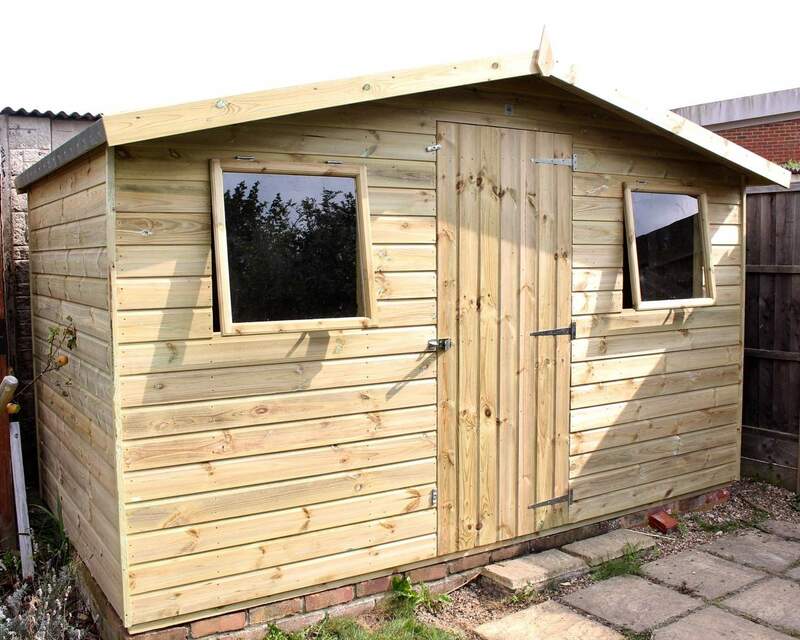 Explore our range of garden sheds with windows. A shed with windows can have a transformational effect on the interior and exterior of your shed. Not only do windows allow for a light, airy and spacious interior, they also create a much more admiral appearance from the exterior. A garden shed with windows can be a much-needed addition to your garden. Whether you’re looking to create a vintage-inspired shed, a tranquil getaway or a garden retreat, the added extra of a window creates much more than just a shed. If you’re looking to add optional extras or change features of your shed, our custom-made service enables you to take full control over the appearance and functionality of your garden building. Our expert team will also install your shed for you if you decide to opt for our installation service at check-out. For inspiration on how you can transform your garden shed, our Man Cave and She Shed blogs provide tips on how to make the best use of your shed. To check whether you’re eligible for free delivery check-out our delivery page, or contact us for more information.